A Soul Food Restaurant, Bar and Shisha Lounge. We look forward to seeing you. Lovely food and cocktails and great shisha bar with great music. I would definitely come again. Great ambiance, terrific food and just an overall great night out! Really enjoyed the venue, hospitality and food was great. food took long to come. staff were unprofessional talking 24/7. we were accused of not paying. Not how they try and make it seem on social media. 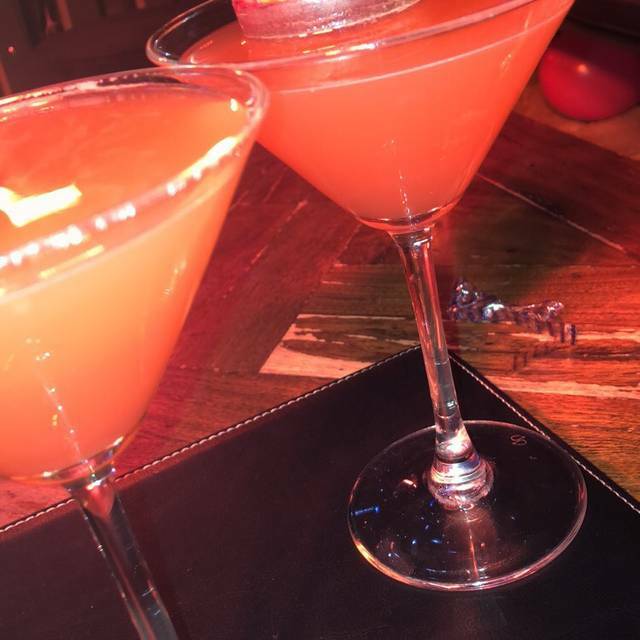 Great vibe, great cocktails, great food at more than reasonable prices. Loved the service and the food. Bad Service, was sat at my table for over half an hour without being served, I then went up to the bar and asked to be served, I was then told the kitchen was closed, the guy said I was sitting at my table for half n hour I said yes, I was expecting to be served at my table, he replied “yes you are” I replied well I havnt been served, he appologised, told me I will get seating in the shisha lounge area, which I never did as they forgot about my table. I left. Very bad customer service as my table was ignored the entire time. I made a reservation for my friends birthday. Upon arrival, they weren't even aware that a reservation was made. We were then seated amongst a big group, literally had to squeeze ourselves next to people we did not know. It was very uncomfortable. On top of been seated in a very awkward place, the waiters took 30 min to serve us, so we decided to walk out. I was not impressed. Please work on customer service. This is brilliant for work events, parties and first date. Great place. Will defo be back, great staff, food and drinks with a nice area outside to sit and chill after a good meal. Came here for my friends 30th Birthday and it was just amazing. Quality food, staff and service. We came to celebrate a birthday and the Truth team made it extra special. Thank you! Best shisha spot in London. Vibrant, good service and good people! Quality lounge with excellent decor in the shisha area with a fantastic menu of foods to boot. Highly recommend the jerk chicken with mac and cheese but could easily eat everything else off it. Customer service is excellent too. Perfect shisha spot! Recommend to all and food was fabulous. Thanks !! Great opening night and would love to return back. Food was delicious - highly recommend the wings! A great new find for a shisha spot and definitely ticks the boxes!